Darjeeling: The Bengal government and the Gorkhaland Territorial Administration have decided to convert old buildings into heritage hotels in the hills, the decision being taken as a precursor to the Hill Business Summit that will be organised in March. 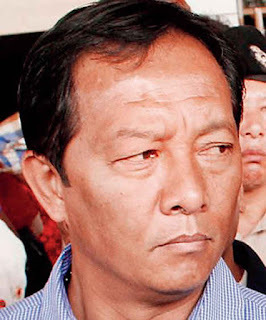 Binay Tamang, the chairperson of the board of administrators to run the GTA, held a series of meetings with government officials at Nabanna in Howrah on Wednesday to discuss the details of the first ever investor meet in the Darjeeling hills. After the meeting, Tamang said: "A number of decisions were taken at the meeting today. We have decided to convert old buildings into heritage hotels in the hills as we are looking at promoting heritage tourism in the region. Training in adventure tourism will also be started in the hills. Eco-tourism and homestays will be promoted in a big way in the hills." Apart from tea plantations, tourism is the other mainstay of the hill economy. However, both the sectors have been hit hard by the recent Gorkhaland shutdown in the hills. During the meetings on Wednesday, it was also decided that an auction centre would be set up in Siliguri for the benefit of farmers from the hills and plains. "More announcements will be made at the first ever industrialist meet that is being held in Darjeeling on March 13 and 14. It has been decided that the meet will be called the Hill Business Summit," said Tamang. Confederation of Indian Industries (CII) has been made a partner of the summit. "The CII will be sending a 31-member delegation to the meeting. The state government and the GTA will also be inviting industrialists and we are expecting around 200 investors, delegates of different sectors and others to be present at the meet," said Tamang. The GTA delegation held a meeting with CII officer-bearers in Calcutta on Tuesday evening. Chief minister Mamata Banerjee will be present on both the days of the summit. The Mall area has been selected as the venue of the conference that will be inaugurated from Chowrasta here at 2.30pm on March 13. Eleven sectors have been identified as areas of focus, which include tourism, health and education at the event. The GTA delegation to Calcutta included Darjeeling and Kurseong MLAs, Amar Singh Rai and Rohit Sharma, respectively, and the principal secretary and the secretary of the hill body, Subrata Biswas and C. Murugan, respectively. The Bengal government and the Gorkhaland Territorial Administration have decided to convert old buildings into heritage hotels in the hills, the decision being taken as a precursor to the Hill Business Summit that will be organised in March.